My basil got little transparent spots on the leafs. I'm not sure how long this is happening but it is like in all the leafs. 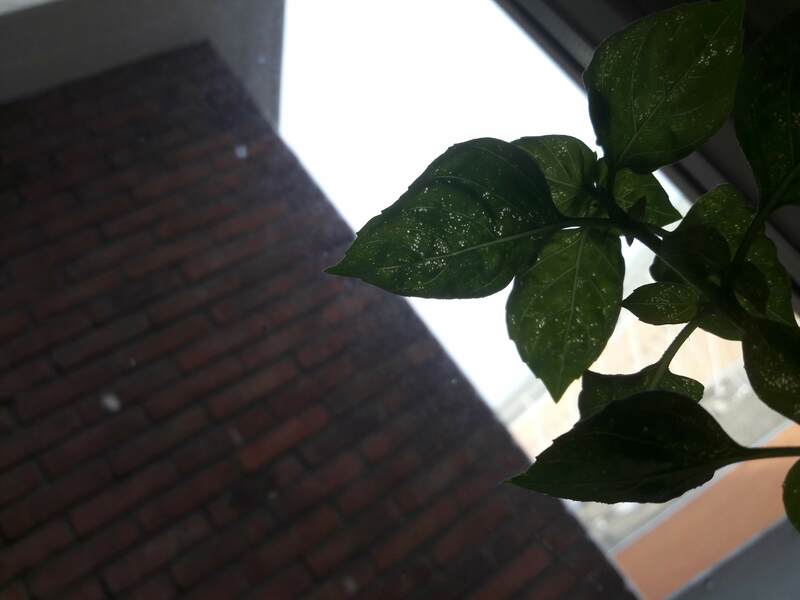 I live in the Netherlands and I suppose the light might not be enough but I have the plant for months and it was doing fine so far. Bamboo could be right about the spider mites, but another possibility is the soil pH might be too high, which could make manganese less available and cause deficiency symptoms, which sometimes look similar to your basil plant's leaves. If the plant continues to grow at the same rate, I doubt soil pH is the issue, though. Adding phosphorus is said to increase the availability of manganese. I'm not sure how true that is. Acidifying the soil increases the availability of manganese (but it can be difficult to do in containers. Adding extra manganese probably won't help unless it's not a pH issue and the soil is manganese deficient. Also, thrips can cause stipling on leaves, too. Scale insects can sometimes make similar damage. Not the answer you're looking for? Browse other questions tagged diagnosis basil or ask your own question. How can I make my Moringa Oleifera happy again? 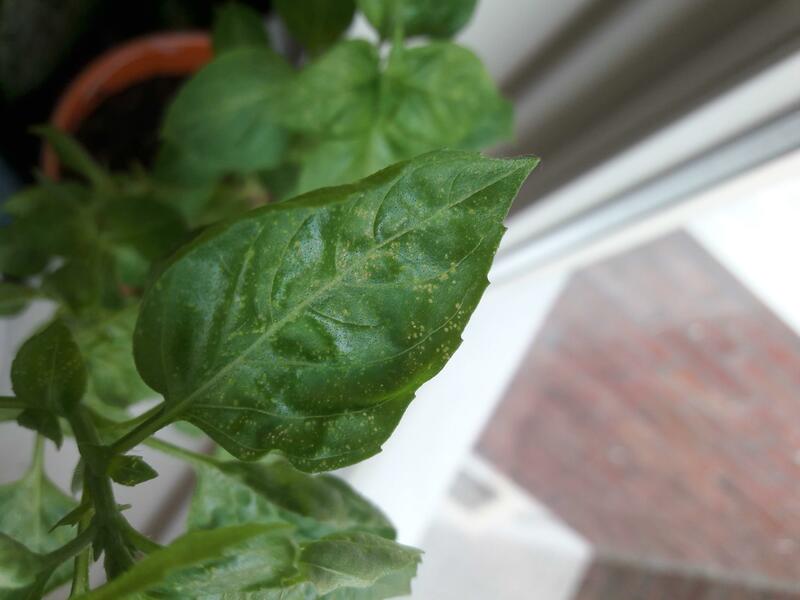 What is causing dry, dark green spots on the leaves of my new basil plant? Keeping basil fresh as long as possible…should I remove the plastic? What would cause pale patches and little brown spots on my Lemon Balm leaves? What is happening to my Agave?